We have told you in several places about our rooms and the amenities within each. Now we want to let you know about the rest of what you can enjoy when you stay with us. Mark Twain did not sleep here but he played pool here. 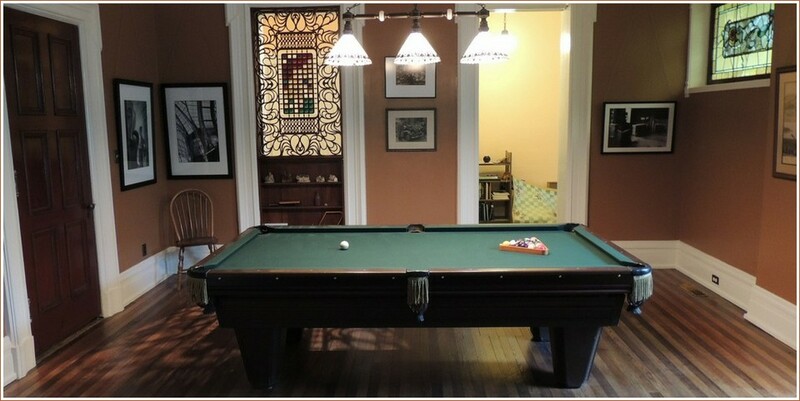 So, pick up the sticks and enjoy a game of pool in our beautiful Billiards Room. When you are finished, head over to the billiards parlor and ease in to the leather chairs for a drink, a chat or a game of chess, gin rummy, monopoly or scrabble. Games, adult coloring books and books to read are there for your enjoyment! In the fall and winter, the billiards parlor holds a wonderful gas fireplace. We will automatically turn it on once the weather turns brisk. If you have not engaged in porch sitting, then you are in for a treat. Sit, relax, watch the people – have coffee, read the paper, or chat with friends and even strangers as they walk by. Your blood pressure will drop and you will wonder why you have not done this before or more often. Our family includes two great dogs. Gracie, a Newfoundland and George, a Golden Retriever. They love people and if you want to play with them – toss a ball or chase them around the tree after breakfast, they would be thrilled. If, on the other hand, you want to pet them, they will be happy with that also. If you simply want to ignore them, that is ok too! If you need something extra, don’t hesitate to ask. 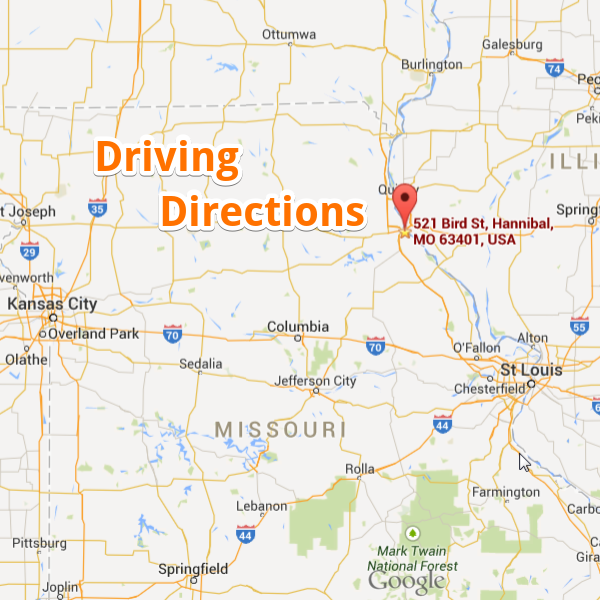 We’ll order flowers, chocolates, dinner reservations, theater tickets, – whatever you need to make your stay in Hannibal enjoyable – we will accomodate. By Summer of 2019, we will offer add-on packages to the normal room rate, so look for those additons to our service menu. 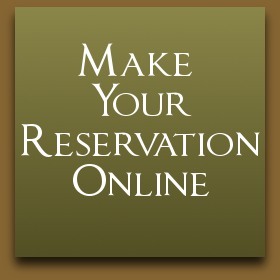 In the meantime, let us help you in your quest for a wonderful Hannibal stay! Be creative…it’s more fun for all of us! Yep – all you have to do is push in the code and you enter the house. Each room has its own key, locked from the inside. There are key chains with The Belvedere Inn written on them and our address. Should you find that you have walked off with one of our keys, please send it back via snail mail. 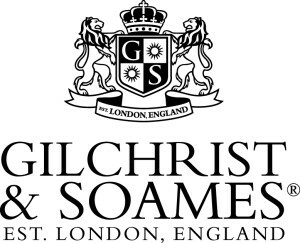 We are thrilled to be able to offer Gilchrist & Soames bath and body products to make your stay at The Belvedere Inn even more relaxing. Their products contain no parabens, phthalates, mineral oil, urea, DEA, TEA, DMDM Hydantoin, petrolatum, propylene glycol nor sulfates. They never test on animals. The collection we have chosen features a light fragrance with herbal and citrus notes and draws on classic spa ingredients such as natural oatmeal, aloe, lemongrass and sea kelp. These products are simply luxurious. We now offer gift certificates in any denomination. All you have to do is click on the button – located on the front page of this website – and input your info. Gift certificates are subject to blackout dates during special event weekends – Valentine’s Day, Just Girls Weekend, Independence Day, National Tom Sawyer Days, and Fall Folklife Festival, as well as holidays – Labor Day Weekend, , Memorial Day Weekend, Thanksgiving, Christmas and New Years.